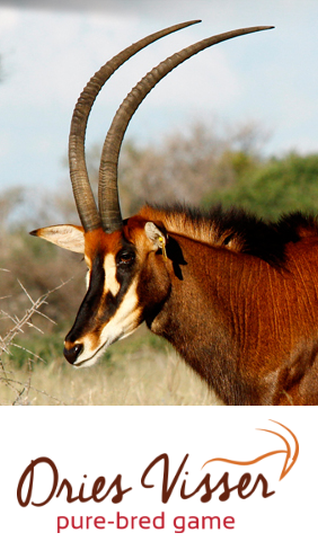 A large antelope with prominent white stripes on its sides. 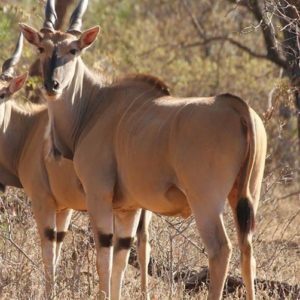 Chevrons and socks are present with all Livingston eland. Horns present with both bulls and cows.